John Hardin (Jack) Young has held senior positions in private law firms, industry and government. His primary areas of practice are administrative and regulatory law, electoral dispute resolution, and electoral processes and recounts. He has represented clients in federal and state litigation across the United States. Mr. Young is Senior Global Electoral Dispute Advisor, International Foundation for Electoral Systems and Managing Director, Center for the Mediation of Electoral Disputes (CMED). Within the ABA, in addition to currently chairing the Standing Committee on Election Law, he has served on the Association’s Board of Governors and is Past Chair, Section of Administrative Law and Regulatory Practice. He has served as Editor of International Election Principles, published by the ABA, and is the author of Young’s Federal Rules of Evidence. He also has served on the Board of Trustees of the American Inns of Court Foundation and is a Founding Board member of the Temple Bar Scholars program. Mr. Young is an Adjunct Professor at William & Mary Law School (International & Comparative Election Law); at the University of Pittsburg Law School (Election Law); and previously at George Mason Law School (Alternative Dispute Resolution). He was Counsel to the Democratic National Committee and Co-Chair, National Lawyers Council from 1996-2000, and chaired the American Inns of Court/Commercial Bar of England Rule of Law Conference in 2007. 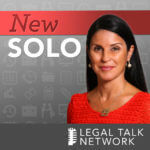 He is listed in Super Lawyers and in Who’s Who in America, the World and the Law; is a Life Member of the American Law Institute and a Life Fellow of the American Bar Foundation; and is a Member of the International Academy of Collaborative Professionals. Mr. Young holds degrees from the University of Virginia (J.D.) and from Oxford University (Exeter College, B.C.L.). 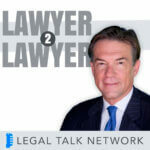 Jack Young talks about why the ABA’s Opioid Summit is important and how it will help lawyers deal with the crisis both professionally and personally.